…but if you ask anyone on our team why they came to Catapult, or why they are still here, unanimously they will say: “the people.” In fact, the foundation of Catapult’s success has always been our people; and each person, regardless of role, plays an integral part in that success. We have consciously set out to build a reputable company and a desirable place to work. We strive to have a positive impact on our clients and on our communities through our collective efforts and innovative use of technologies. This doesn’t happen by chance – we work at it every day, and our people love being part of that journey. Our tenured employees are fundamental in continuing a longstanding culture of innovation, teamwork and fun. 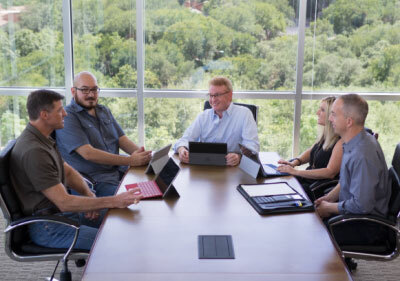 These “old timers” are vital to our Ambassador Program, which pairs all new team members with a tenured employee to introduce them to our culture and provide guidance as they transition into our company and our culture. IT consulting is a very challenging field, so when you’re able to work with smart people, you’re learning each and every day, and you’re empowered to make decisions, the result is high employee engagement AND high client satisfaction. Bottom line – Catapult is a place where you matter, and where what you do matters. You will be challenged, and you will make a difference in the lives of your co-workers, in the lives of our clients, and in the communities in which we live. We constantly work to improve the employee experience and show appreciation to our most valuable asset: our people. 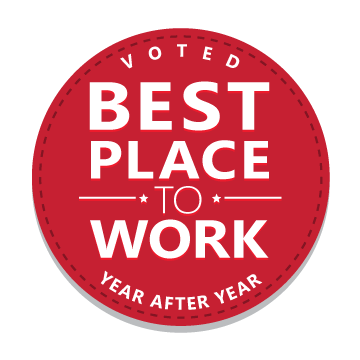 As a result, Catapult has been recognized as a “Best Place to Work” consistently throughout our 23-year history.